The Associated Press has a very intimate and honest interview today with Hunter Thompson's wife, Anita. 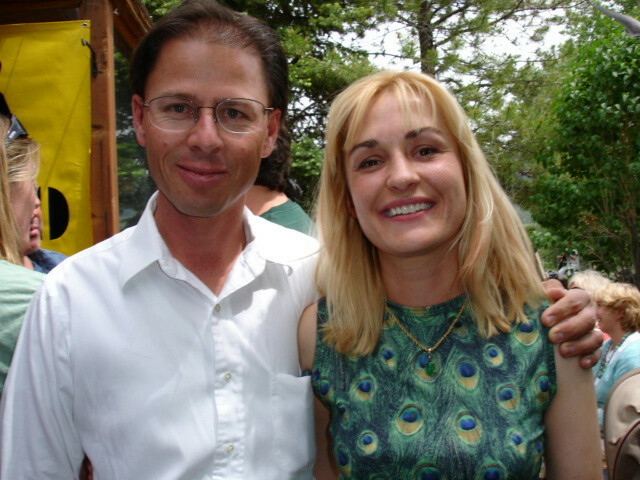 The occasion is the recent release of her new book, The Gonzo Way, which I wrote about here at 5280. In her new book, "The Gonzo Way: A Celebration of Dr. Hunter S. Thompson," Thompson says her husband built his career with a tireless dedication to the craft of reporting, a keen awareness of his own shortcomings and his personal blend of patriotism: loving his country while mistrusting authority. And in a wide-ranging interview, she spoke about a rift between her and Hunter Thompson's son and the agonizing doubts that dogged her in the days after her husband's suicide. Also check out Anita's Owl Farm blog. Here's a photo I took of Anita and Hunter's son, Juan. Undervalued principles these days, it often seems.